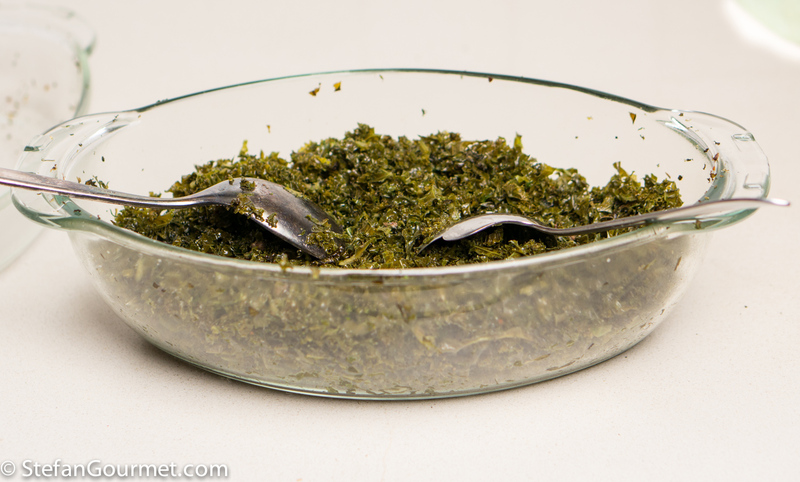 Baking or slow roasting is an original way to prepare kale. It takes a long time to bake, but most of that is inactive time. This version with Italian flavors has great depth of flavor and a nice texture. For best results, remove the tough central ribs before shredding the kale. 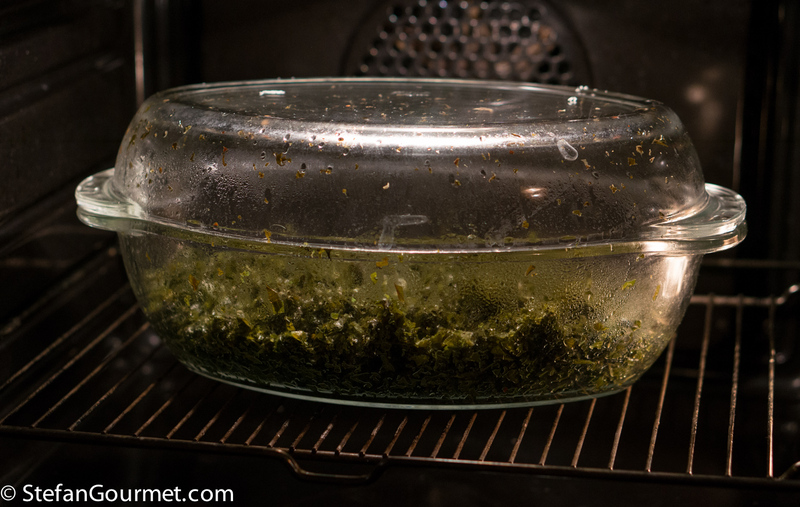 Preheat the oven to 120C/250F. 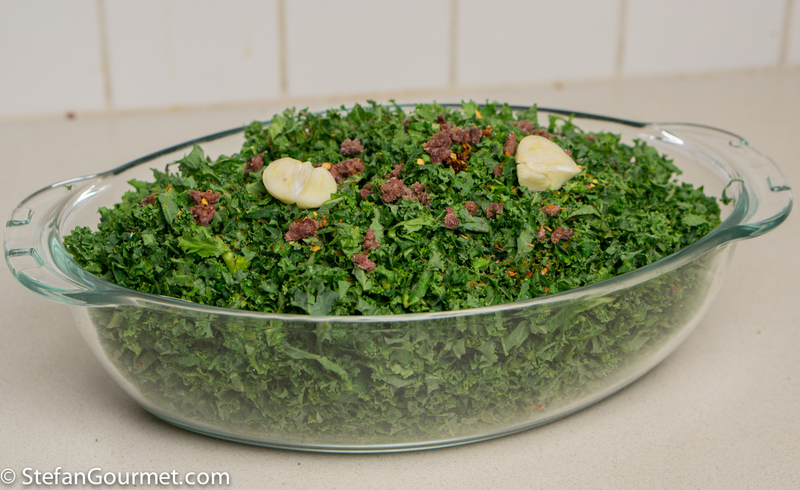 Combine 300 grams (.66 lb) shredded kale with two flattened garlic cloves, 4 minced anchovy fillets, 1/4 tsp chilli flakes, 1/4 tsp salt, and 2 Tbsp olive oil in an oven proof dish with a cover. Toss everything until well mixed. The easiest way to do this, is to cover the dish and shake it well. 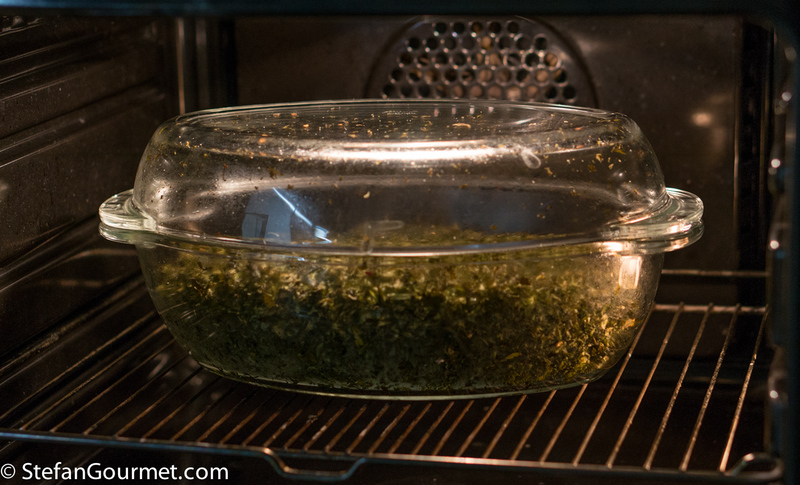 Bake the kale, covered, in the oven at 120C/250F for 2 hours. Bake, covered again, for another 90 minutes. The kale is now ready to be served. 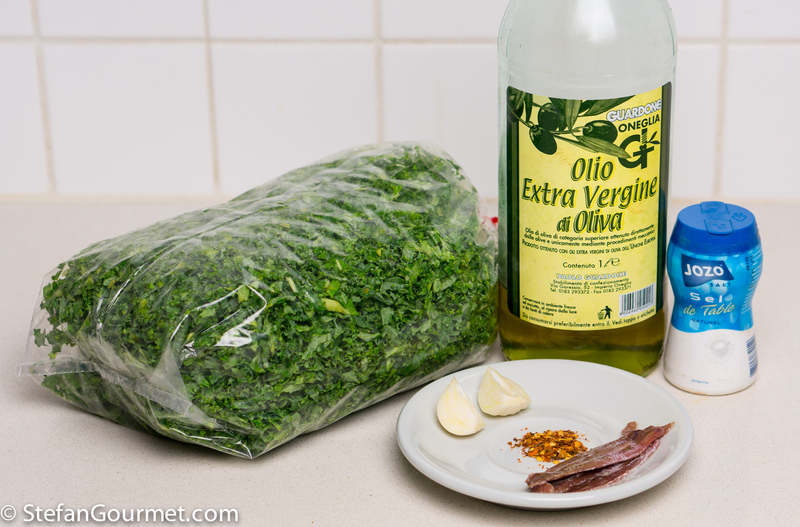 Add some more good quality extra virgin olive oil, if you like. One of my favorite techniques to prepare large cuts of meat is first briefly hot smoking and then cooking sous-vide until tender. 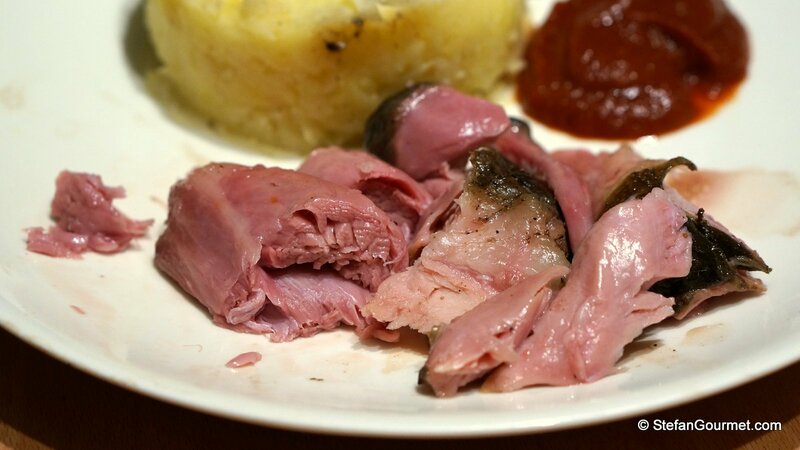 Ham hock is simply wonderful when prepared that way. I’d expect jars or cans of anchovies to be available. Anchovy paste could also work. Great – thanks my friend!! Great idea, Stefan! I love cooked vegetables especially during the winter. Thanks for the tip! Never thought of preparing Kale that way, it’s wonderful. I imagine there is so much flavor infused by slow-roasting it so long like that. Looks delicious. Many restaurant chefs use a similar method (or fry). This is a great preparation to maximize flavor, texture and color.. The problem is this- I would eat the whol recipe as a snack. Subtle garlic, chili, anchovie and evoo make it a home run. In a pinch, anice finishing sales would shine if one were out of anchovie. Never thought of it. I usually cook it on the stove, add it to a soup or make chips. I like the anchovy twist. 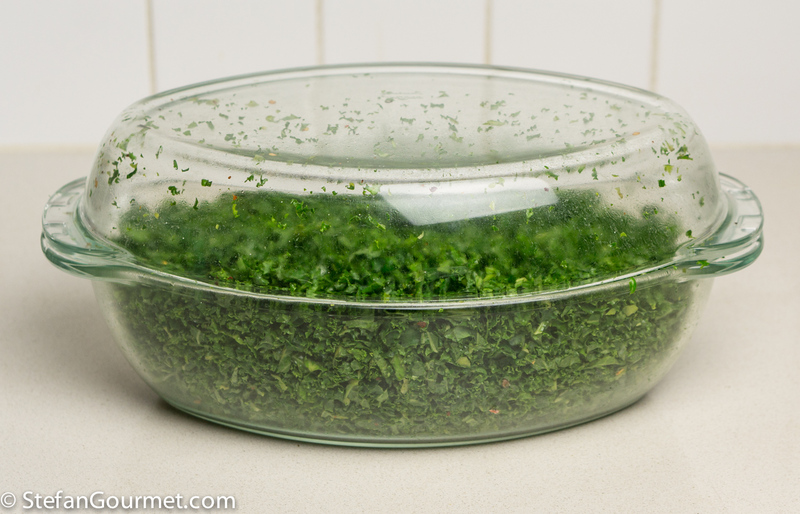 Use a fair amount of kale but like a few others above have never heard of or used this method! Interesting!! Am not certain I like the resultant colour and I usually have my kale on the table in less than five minutes flat in a stirfy or Chinese-style steam perchance . . . must remember!! 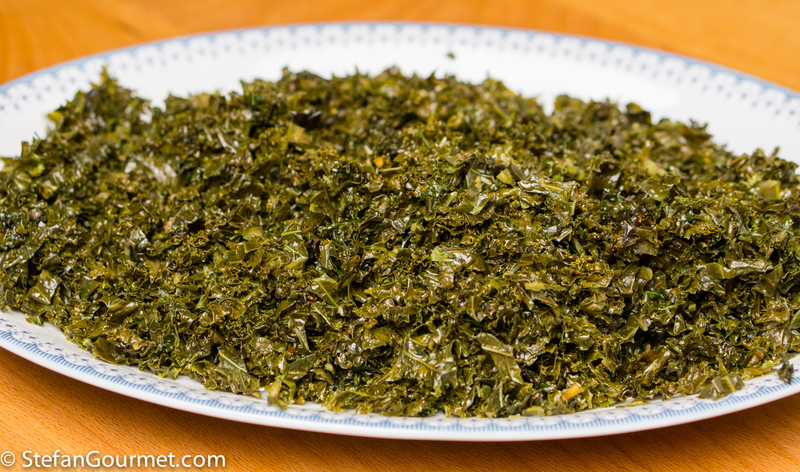 This looks good, and I’m not really fond of kale – mostly because of its texture. So this might be the method I need! Just brought home a huge package of kale–for my eat-more-veggies effort. Thanks for another way to cook it.